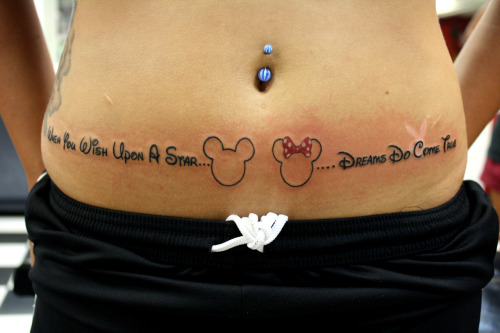 Walt Disney is the name everyone have heard in the world because of the childhood fairy tale cartoon characters, Mickey Mouse, Donald Duck, Snow White… that have overjoyed us all. 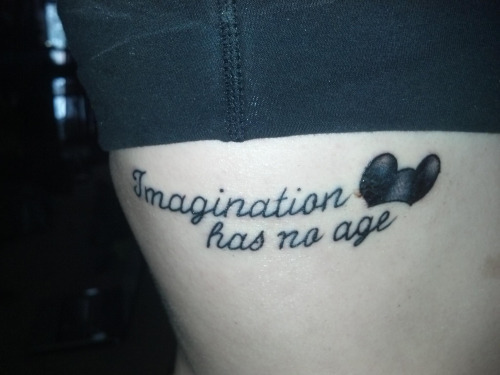 All Walt Disney Movies are so famous that men and women of different ages started to remember these characters through tattoos, one form of these tattoos are Phrases from these Disney movies. 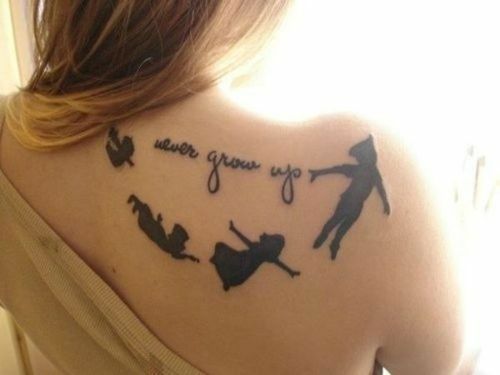 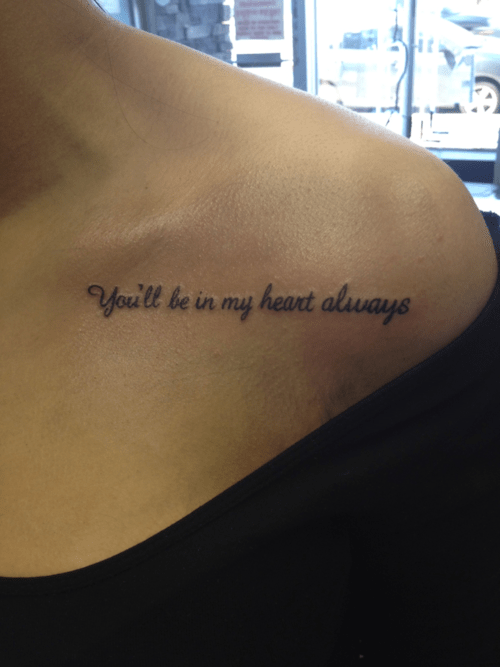 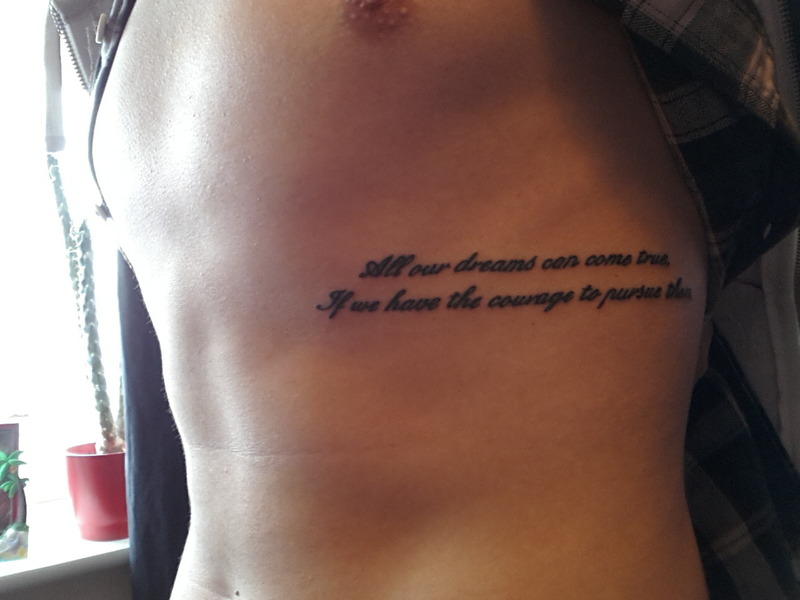 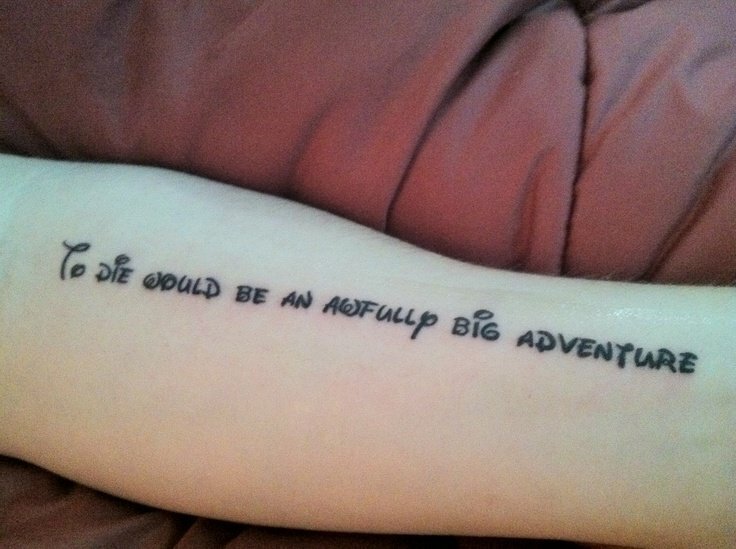 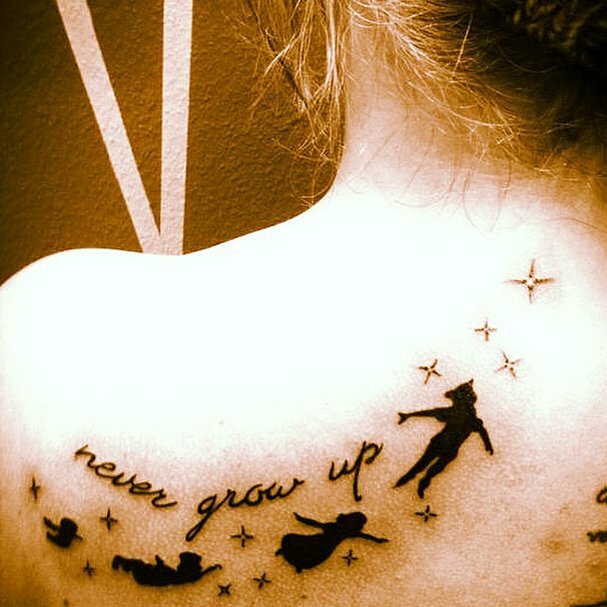 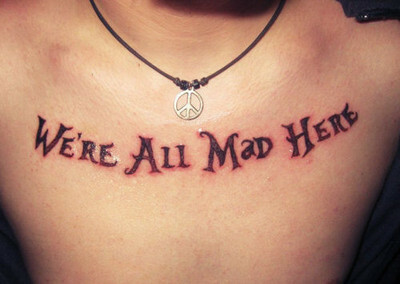 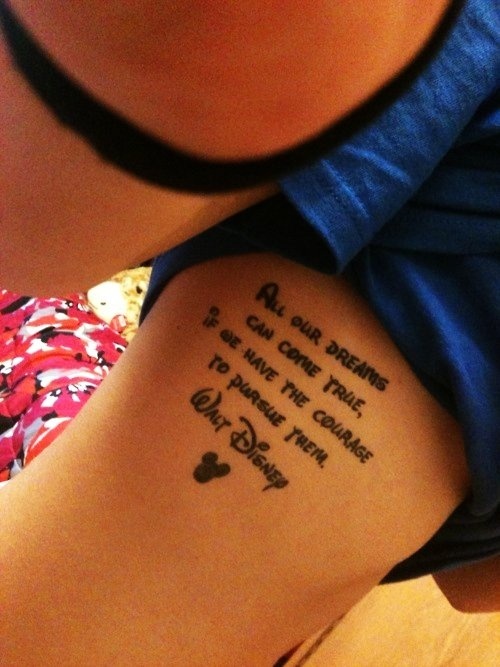 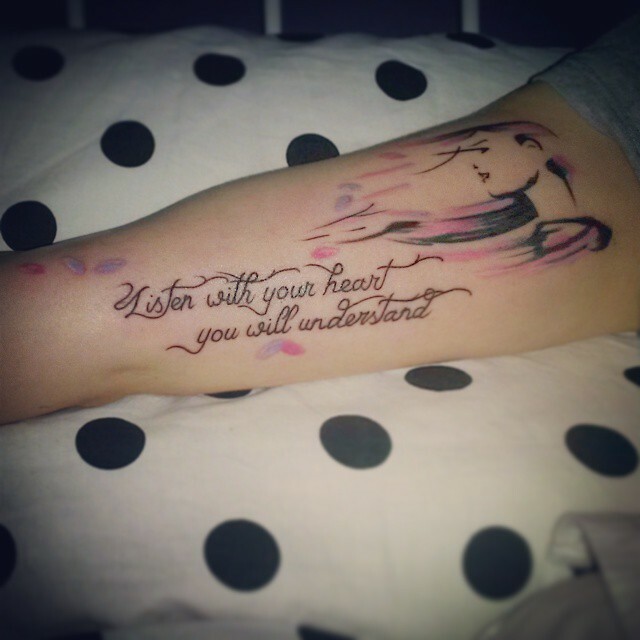 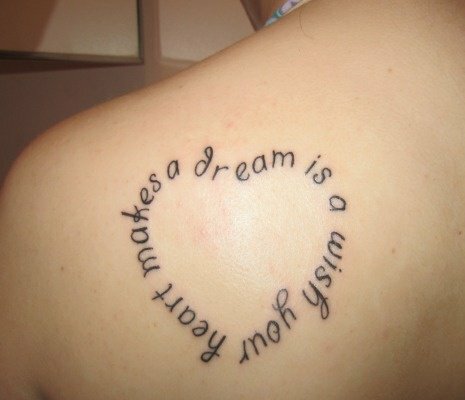 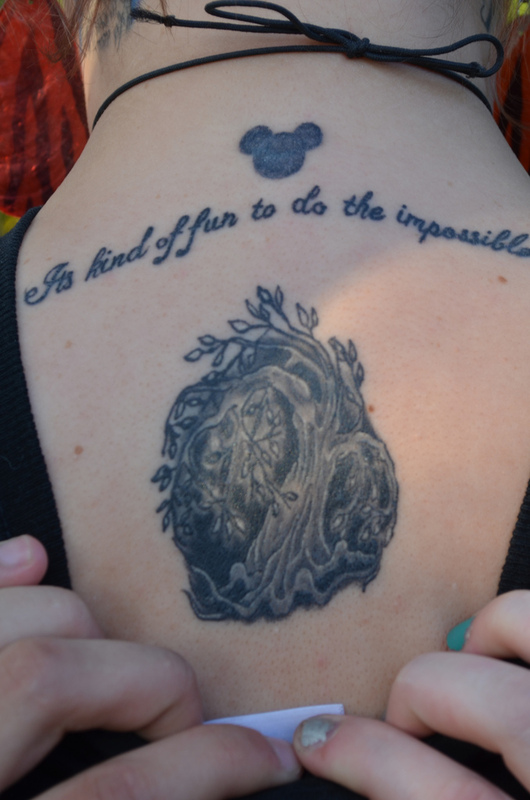 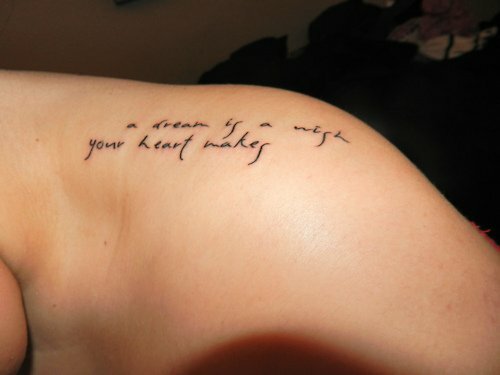 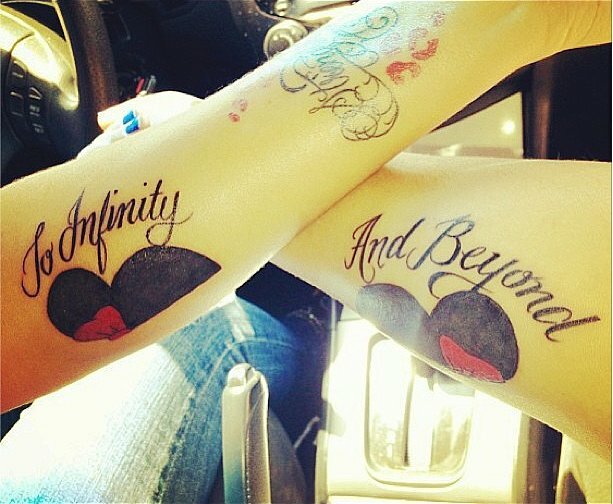 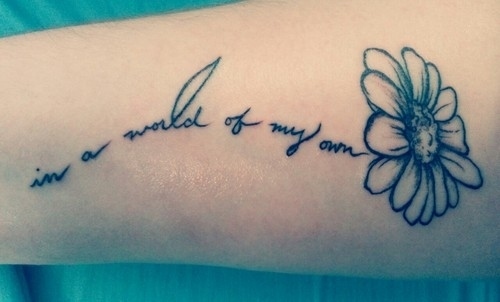 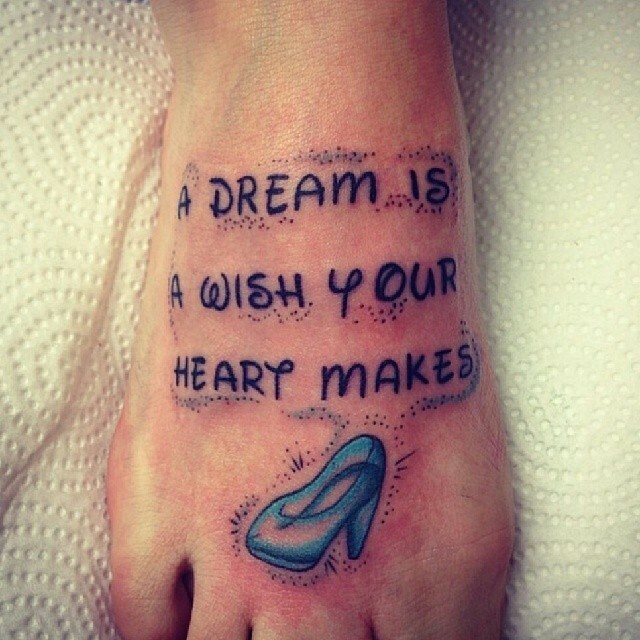 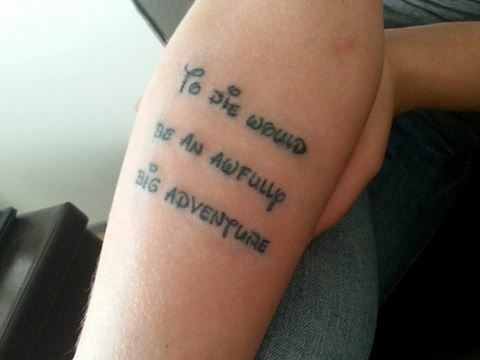 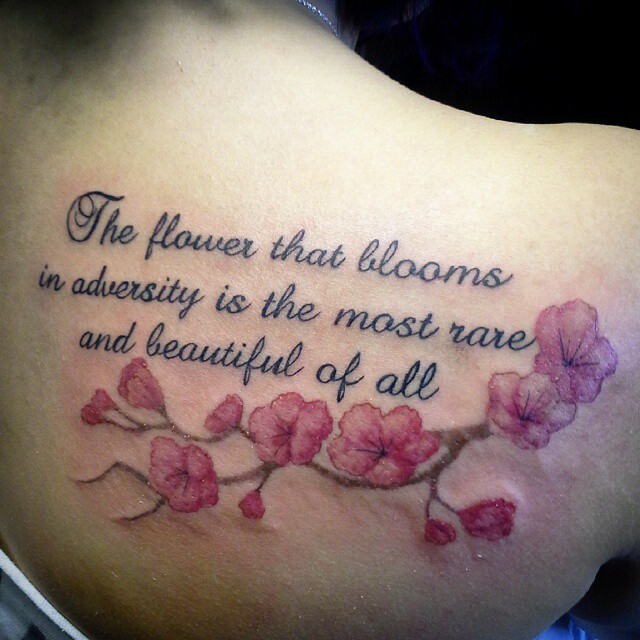 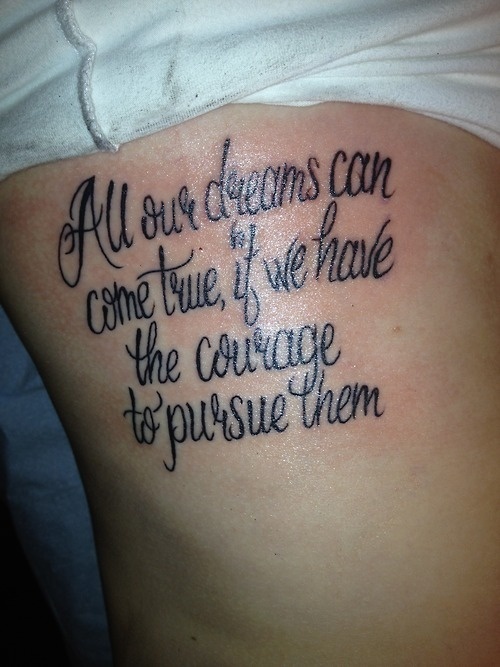 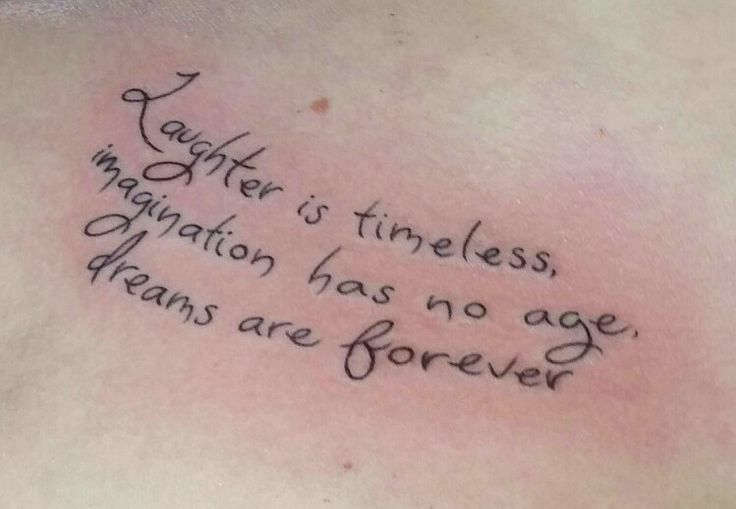 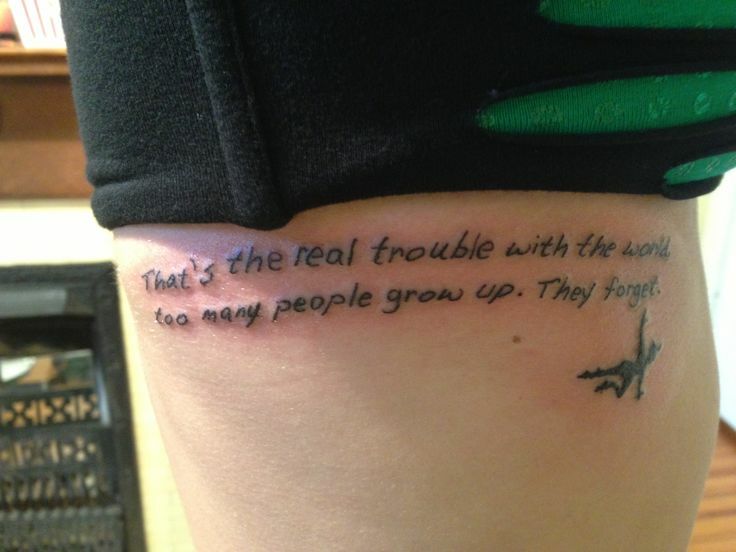 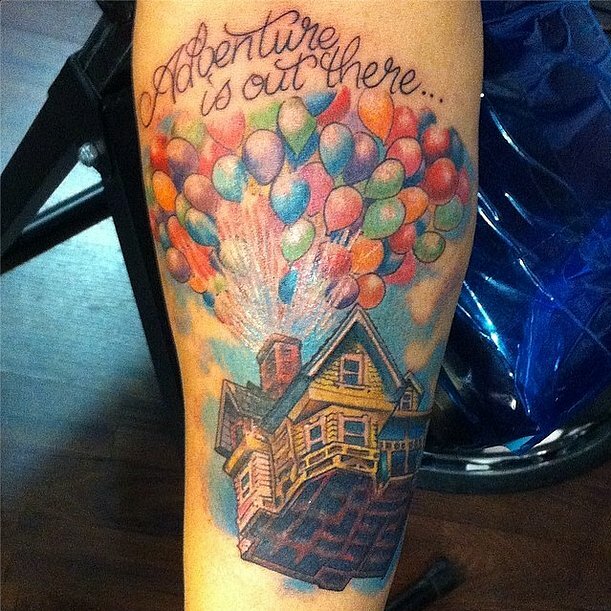 Here we have collected some great Disney quote tattoos for you to get inspired and take a picture of your favorite Walt Disney Movie Quote and decorate your body with a beautiful tattoo lettering of Disney movie quotes, check from these tattoo quote pictures below and select a tattoo quote from Disney movies such as, Alice in Wonderland, Peter Pan, Beauty and the Beast and many more popular movies.